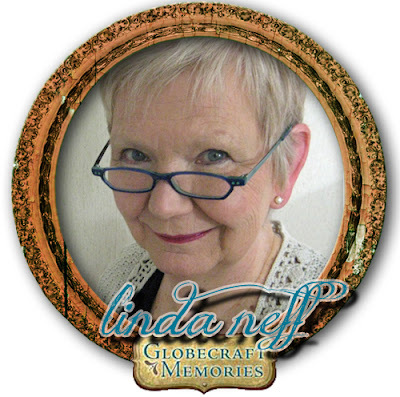 We're thrilled to welcome mixed media & papercrafting artist Linda Neff to the Globecraft Memories team! 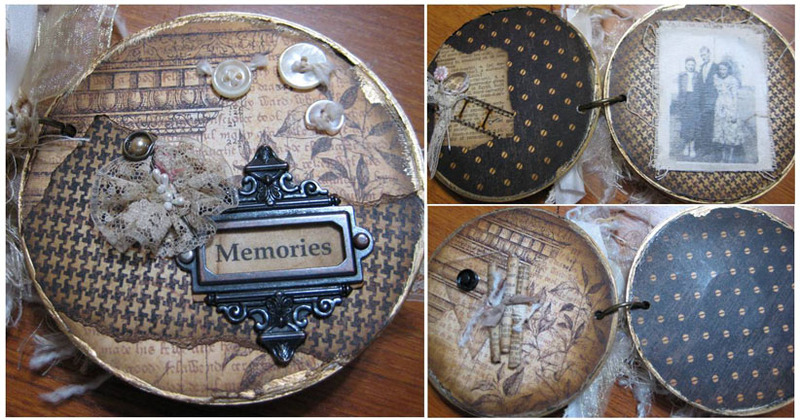 I discovered through my first attempt at scrapbooking I could create art – my way. With rubber stamps, inks, paints, paper, fabric and other mediums, I create a soft, vintage look that is sometimes natural and sometimes a bit more romantic, but always evolving. I enjoy making mini albums, scrapbook pages and wall art to capture my little scrapped treasures. The mother of three adult children, I live with my retired husband in Michigan and spend my time teaching classes at independent scrapbook and quilt stores. I am Ranger certified and always on the lookout for new techniques. I encourage others to dive head-first into the art of papercrafting, whether it be scrapbooking, stamping or altered art. On my very first night of scrapbooking I used extra photos to cut letters for my page title rather than use store-bought sticker letters. That’s when I discovered there were no rules in this new hobby of mine. My art form has evolved tremendously in the past 10 years. I rarely scrapbook a page nowadays, though I keep vowing to get back to it. I prefer projects and most of those tend to be mini books. My art is nearly always inspired by heritage, nature or garden photos. I find it challenging to create without a photo for inspiration. Photos evoke cherished memories for me, whether it be heritage photos of past generations, a quiet walk through the woods or beautiful gardens I visit during summer months. I’ve often felt my photos speak to me and guide me through paper selection, colors, mediums and more. My embellishments are usually handmade rather than store-bought, though would be less expensive as store-bought; I have tons of products in my room to create a cute little flower or chipboard heart! 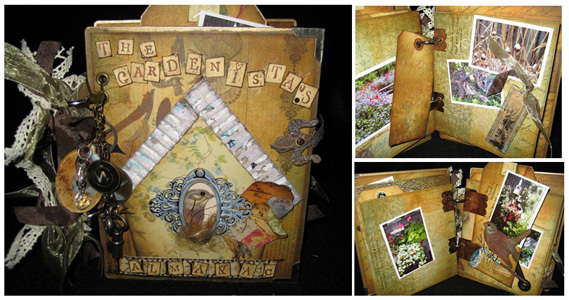 My art really shines in “The Gardenista’s Almanac.” It’s the culmination of my love of earthy colors, rustic embellishments and all things Tim Holtz and Wendy Vecchi. The project was in the formulation stages for nearly two years just waiting for the right inspiration to come along; then came 7 Gpysies’ Conservatory line. Another favorite of mine are my cd mini books. They’re always a favorite of my students. I teach this class at least twice a year; always a different version with new techniques, papers and products. It’s a great class that tosses in a bit of technique, room for photos and it makes a great little gift or keepsake. I recently experimented with fabric as well. I dyed the fabric and used the sewing machine to stitch, made fabric roses and printed photos on fabric paper. I enjoy experimenting with new techniques and mediums but find I always, always, always incorporate my Ranger products. I’m looking forward to the challenges of using Globecraft Memories’ products with my everyday favorites. I LOVE mini albums and yours are simply amazing!! !